It’s 11:00 am and a group of 20 people are congregated in a small area between three caravans lined up to form a triangle. Amid the din of Arabic, Farsi and French, snatches of broken English can be heard complaining of sore throats or noses that are ‘closed’. A number of medical volunteers are busily trying to organise a queue, with shouts of ‘one at time’ having to be regularly made. This pandemonium could be any health professional’s idea of a nightmare, but this is just another day in the Calais ‘Jungle’. These volunteers, made up of doctors, nurses, paramedics and students, have sacrificed their weekend to provide first aid within the refugee and migrant camp located on the outskirts of the city. They form part of the Refugee Support First Aid and Care Team, who since September 2015 have been delivering care from the heart of the ‘Jungle’. After hearing about the lack of basic medical care available to refugees and migrants in the ‘Jungle’ over weekends, Liz Gall, a luxury wedding planner and former retail bank manager, set up Refugee Support. Founded on 9 August 2015, the aim of the organisation is to take aid over to refugees and migrants residing in the Calais ‘Jungle’. ‘After living in the jungle at weekends for a month, it became apparent that there were no medical facilities available either at night or on a weekend,’ says Gall. Current medical aid delivered in the camp is limited. As a result of the ‘Jungle’ not being recognised by French authorities as an official ‘refugee camp’, no large charities or humanitarian groups have a real presence on the ground. 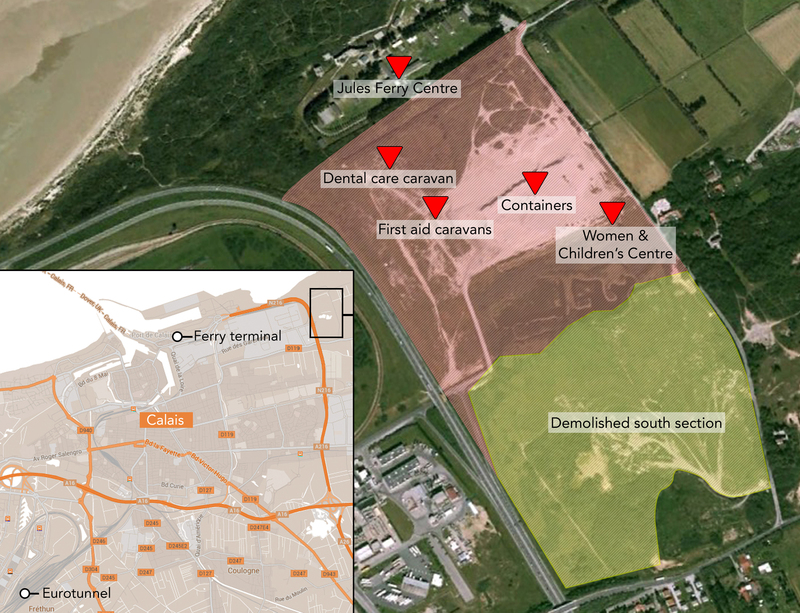 Médecins du Monde (MdM) (Doctors of the World) has provided essential medical help to refugees and migrants living in and around Calais and Dunkirk since 2003, but withdrew from the ‘Jungle’ at the end of 2015 after a theft from their building. Médecins sans Frontières (MsF) (Doctors without Borders) has provided aid since early December and runs a health clinic that is open Monday to Friday. However, it is believed its contract ended on 1 March. ‘Following a conversation with Hassan Chaudry (GP) and Raid Ali (dentist) on return from Calais on 14 September, we decided that as there were UK healthcare professionals wanting to help, we would try and make it happen. With help from Caravans for Calais, Gall arranged for a caravan to be sent to the ‘Jungle’ from the UK, with the aim of using it as a mobile clinic for refugees and migrants. ‘On Saturday 26 September we opened our first caravan and treated people on the street in the jungle,’ recalls Gall. The caravan was funded by a group on Facebook called the Creative Collective for Refugee Relief, who had raised money by selling their artwork online. Two further caravans were sent over in the following 2 months to be used for first aid, as well as an additional caravan for dental care. First aid shifts within the camp are coordinated through the Refugee Support First Aid and Care Team Facebook group. Health professionals input their dates of availability, as well as contact information and important details such as their registration number. Registration is then checked against the appropriate regulatory body and dates confirmed. Paramedics currently make up a relatively small percentage of the overall first aid volunteers, with the majority being made up of either doctors, nurses or medical students. So far, over 400 people have volunteered as part of the Refugee Support First Aid and Care Team at the camps located in Calais and Dunkirk. Dan Evans is a final year medical student at Cardiff University overseeing the first aid caravans as team leader over March. He has been at the camp for 2.5 weeks as part of his medical elective and has another 2 weeks remaining. ‘The vast majority of work is making sure people aren’t unwell, aren’t septic,’ says Evans. According to Evans, patients are predominantly treated for minor ailments such as colds, flu, sore throats and the nasty variety of chest infections referred to as ‘Jungle lung’. Additionally, broken bones, bruises, sprains and cuts are treated following altercations within the camp or with police, or failed attempts at crossing the border into the UK. 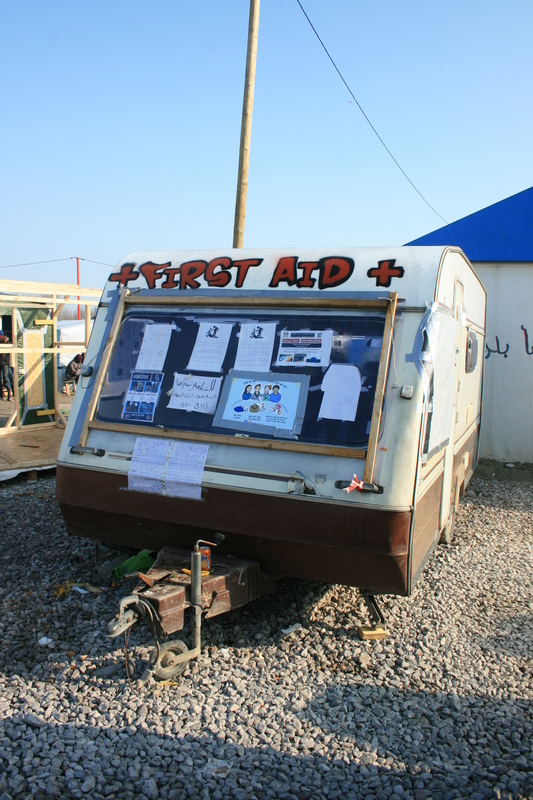 The three caravans used by the first aid team are situated towards the north end of the camp and offer patients a private space for consultations. Where possible, patients are treated there and then. In cases where additional care is needed or follow-up required, patients are referred to the clinic run by MsF. Outside, strepsils, cough medicine and bracelets made from tubigrip and cotton wool soaked in olbas oil are dispensed from a counter made of chipboard. While the majority who come to visit the caravans receive some medicine and are sent on their way, a small number who turn up are considerably unwell. Notably on this weekend, a young man is seen crouched on the dusty floor, cradling his head in his hands. After an examination by a doctor in one of the caravans, it is recognised he has meningitis and is subsequently rushed to the emergency department in the city. Among the first aid volunteers at the ‘Jungle’ on the weekend of 12 March are a group of student paramedics from the University of Surrey, who between them raised over £1,000 to go towards medical supplies for the caravans. They used part of the donations to purchase two paramedic rescue backpacks to enable them to act as a mobile clinic and provide first aid on foot to those in need. Shadowing the students, it is apparent that being able to bring care to those who may not be aware of the existence of the caravans, or who might fear the implications on their claims for asylum by visiting a clinic and having their details recorded, offers the volunteers access to patients not possible before. On this weekend alone, a Sudanese refugee is treated for a burn after the tarpaulin used to make his tent caught fire; an Eritrean refugee who was stabbed in the back following an argument in the camp has his dressing changed; and a Kurdish woman who was afraid to visit the MsF clinic is revealed to be pregnant. Having been trying for a child for 5 years, she thanked the student midwife with tears in her eyes and proceeded to invite her inside her caravan for tea. The general mood within the camp appears friendly, with many of the refugees and migrants all too happy to offer their seat or extend invitations for a hot drink. Yet despite this, there have been a number of reports of volunteers being attacked or intimidated. ‘There is a lot of crime as everything is unregulated, but I wouldn’t describe it as dangerous,’ he says. ‘If you are British and not wearing a police uniform, people know you are here to help,’ he adds. The lack of police within the camp is evident and it is clear their presence is not welcome. Instead they stand in groups around the perimeter of the camp, clad from head to toe in riot gear and ready to intervene should any situation escalate. ‘The general mood was quite good. I didn’t find any aggressive people and they were quite accommodating,’ says Omar Yusof, a second-year student paramedic at the University of Surrey. ‘You feel a bit useless as there is no referral,’ says Wheeler. As a result of regular evictions and demolitions, life in the ‘Jungle’ is constantly forced to change. On 4 March, a re-purposed double decker bus was delivered to the camp to replace the Women and Children’s Centre that disappeared when the southern part of the camp was destroyed. The aim of the bus is to offer a safe living space on the ground floor for women and children, and a dormitory upstairs intended for unaccompanied minors. Additionally, a vaccination clinic set up by Health and Nutrition Development Society (HANDS) International, who have been immunising against influenza and measles, was also forced to move. However, this constant need for adaptation has not dampened the determination of the volunteers who come to Calais. 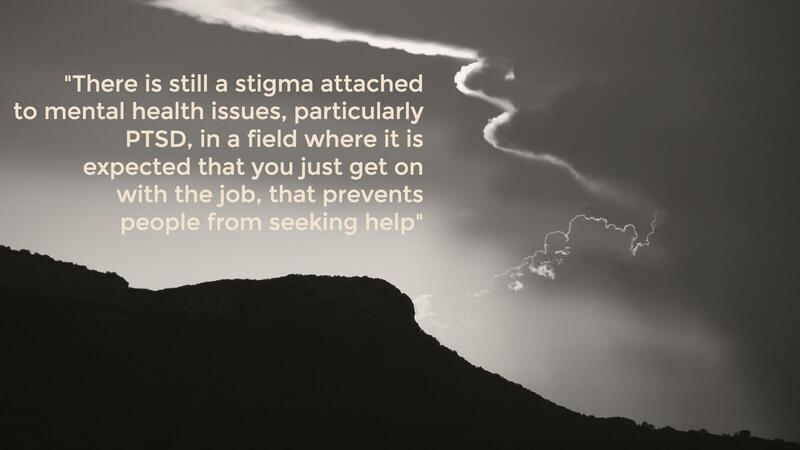 There is no denying that in the short time since its inception, Refugee Support has gone from strength to strength, yet Gall emphasises it has only been possible because of the people who have dedicated their time to making it a growing concern. ‘We have the most amazing volunteers, and are so grateful to them. Because we are a small group and they are so compassionate, we can adapt at reasonably small notice,’ she concludes. Taken from Journal of Paramedic Practice, published 1 April 2016. The Resuscitation Council’s (UK) consultation on the Emergency Care and Treatment Plan (ECTP) closes on Monday. The Resuscitation Council (UK) is giving health professionals the opportunity to provide feedback on the concept of the ECTP and its supporting documents via a survey on their website. The purpose of an ECTP is to record a summary of decisions about what care and treatment a patient would or would not want to receive, if their health deteriorates and they are unable to make those choices at the time. The decisions recorded on the form can provide immediate information to guide health professionals who are looking after a patient in an emergency. They may not have met the patient before and may not know full details of the patient’s usual state of health or their wishes. Those professionals may include doctors, nurses and ambulance paramedics. They may be looking after the patient at home, in a hospital, in other places such as a nursing home or hospices, or during a journey by ambulance. The ECTP aims to ensure that patients receive the best possible treatment for their individual situation. It cannot be used to request or demand treatments that will not be beneficial to them. This consultation offers paramedics and other pre-hospital professionals an excellent opportunity to voice their views on the ECTP and help shape its future direction. I therefore implore you to take a moment over the next few days to fill in the survey. According to a new survey, almost half of paramedics in the North East of England have been subjected to alcohol-fuelled physical assaults while on duty. The survey of more than 350 paramedics was carried out by the North East Ambulance Service NHS Foundation Trust (NEAS) and Balance, the North East of England’s alcohol office. Results of the survey were published on 19 August and detail the impact of alcohol misuse on the region’s paramedics. The report also revealed more than two in five NEAS paramedics have at some point been sexually assaulted/harassed while on duty. Additionally, nine out of ten paramedics agreed that dealing with alcohol-related callouts places an unnecessary burden on their time and resources; and three in five paramedics believed they shouldn’t have to deal with the consequences of excessive consumption of alcohol. A quarter of paramedics stated that at least 50% of their workload on weekday night times is alcohol related, while two thirds of paramedics stated that alcohol-related incidences account for at least 50% of their workload during weekend shifts. 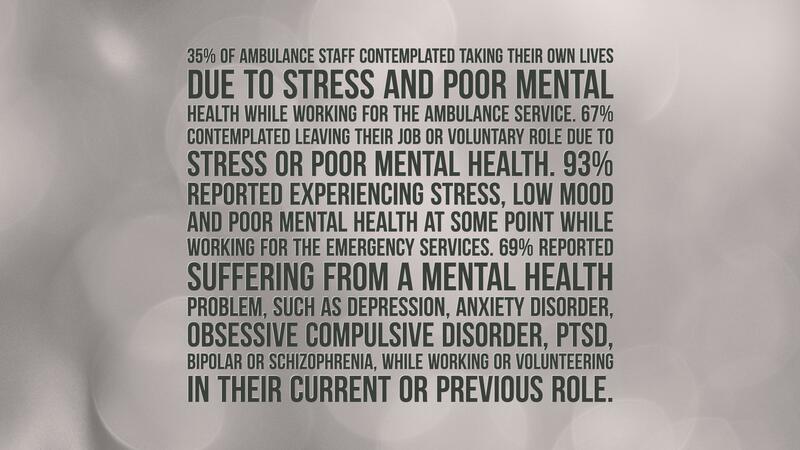 Between April and December 2014, Balance surveyed 358 paramedics, representing 32% of the NEAS workforce, to establish how they perceive the impact of alcohol misuse on their lives. Throughout the report the term ‘paramedic’ includes the roles of emergency care support workers, technicians and urgent care assistants. In 2013/14, Balance estimated that alcohol-related harm cost the region £911 million, with the NHS paying £242 million. 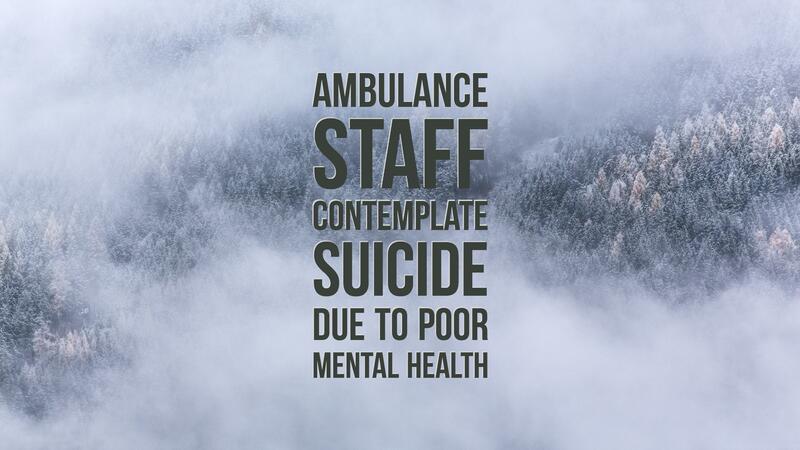 Colin Shevills, director of Balance, said: ‘ It’s outrageous that paramedics don’t feel safe in their working environment as a result of other people’s alcohol misuse. These are people who are there to help us when we need it most, yet they are living in fear of physical and verbal abuse on a daily basis. How many of us would expect to work like this?